Pig farmers say that over half the pigmeat in some Supervalu stores is not Bord Bia quality assured as pig farmers face losses of €3,000 a week. Pig farmers say they are losing €8-10/pig that leaves their farms, and have warned that many pig farmers will go to the wall over the coming months, with some farmers currently losing €3,000 a week. 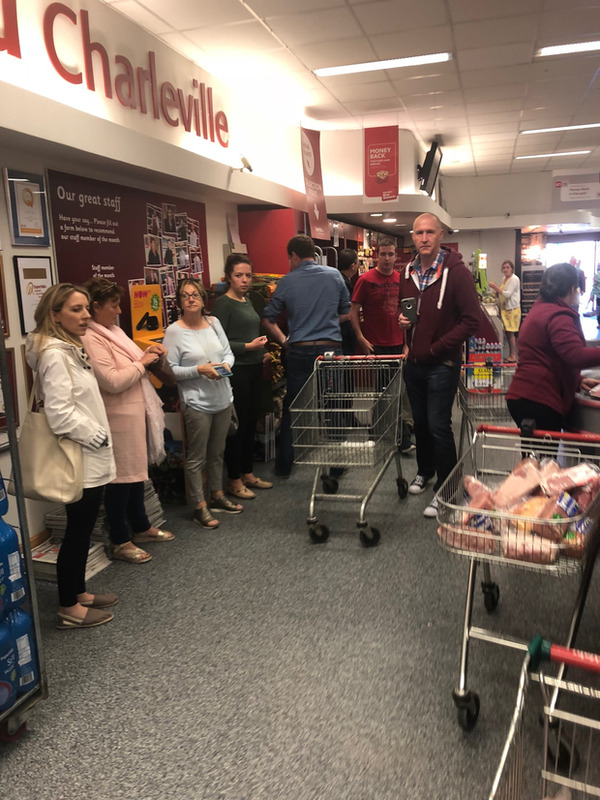 Today a group of farmers met in Supervalu, Charleville, Cork to inspect the origin of the pigmeat on the supermarket’s shelves. It comes after the IFA pig farmers met last Friday in Supervalu Castletroy, Limerick, and said that over 50pc of the pigmeat on the supermarket’s shelves was no quality-assured Irish pigmeat. SuperValu own brand rashers – where few of the packets carried the Bord Bia Quality Assurance logo. Then on Tuesday, the pig farmers met in Kilbarry, Waterford, just a few miles from one of the country’s largest pig processing plants. IFA Pig Committee Chairman Tom Hogan said in both cases there was a substantial amount of non-quality assured pigmeat on the shelves. “In both cases there was a substantial amount of non quality assured meat and we are looking at two brands in particular,” he said. He said that the Meadow Fields brand, which Supervalu stocks, was one and that “in most cases In most cases you will find a few packs of the meat will have the quality assurance mark, but most doesn’t. In a statement, Musgrave said that 100pc of our SuperValu range of rashers are sourced in Ireland, with the Bord Bia Quality Assured logo due to appear on all Daily Basics new packaging from next week onwards. It did not comment on the labellling of the Meadow Fields pigmeat. Only meat from a Bord Bia approved plant can carry the Bord Bia Quality Assurance label, but according to Tom Hogan when some of the packets has the Quality Assurance label and others don’t, it causes confusion for the consumer. The farmers estimated that more than half of the pigmeat on Supervalu Castletroy shelves was not quality assured and in Waterford it was a also substantial amount. “Waterford is only a few miles from a major bacon factory,” said Tom and Musgrave, which owns Supervalu, gave us a commitment that its Daily Basis brand would only used Irish pigmeat, but we found packets that were marked as Dutch.